As President Trump calls for a 'major' investigation into his claim of American voter fraud, reports have surfaced that White House chief strategist Steve Bannon is registered to vote in two states -- a scenario Trump said in a tweet on Wednesday amounts to electoral fraud. "I will be asking for a major investigation into VOTER FRAUD, including those registered to vote in two states, those who are illegal and ... even, those registered to vote who are dead (and many for a long time). Depending on results, we will strengthen up voting procedures!," President Trump wrote. 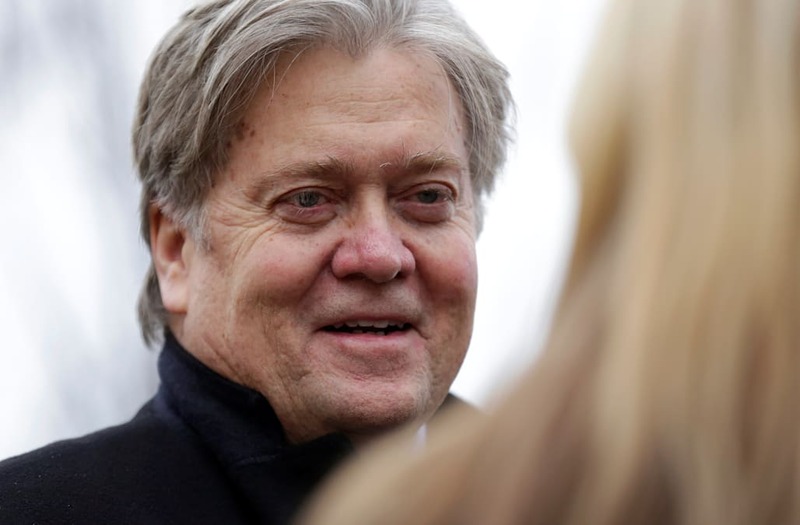 Although Bannon is reported to have casted his vote as a New York resident in the presidential election last year, according to state records, the chief strategist is also registered to vote at a vacant residence in Florida. President Trump's statements follow White House press secretary Sean Spicer's confirmation on Tuesday that the commander in chief continues to believe millions of votes were illegally cast in the 2016 election, though he didn't provide evidence regarding the long debunked claim. Being registered to vote in two states is not illegal, though. The criminal act is only when one casts ballots in two different states.